Reliance Entertainment’s next, David, starring Neil Nitin Mukesh, Vikram (Raavan) and Vinay Virmani (Speedy Singhs) is set to release on 1st February 2013. 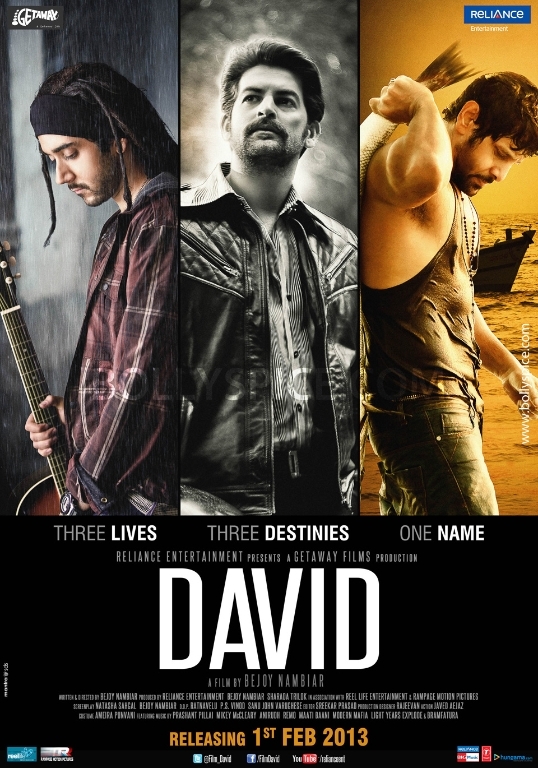 Directed by Bijoy Nambiar, the film is a story of three different Davids in three different times. 2010 Goa – 40 year old David is a fisherman living in the small fishing village of Betul in Goa. He falls in love with the deaf and mute Roma- the only hitch is that she is engaged to be married to his best friend Peter in 10 days. Director Bijoy Nambiar of Shaitan fame, however wants to market the film differently. The director wants to attract his core audience, the youth, through the internet. A similar marketing strategy was chosen for Cocktail earlier this year.